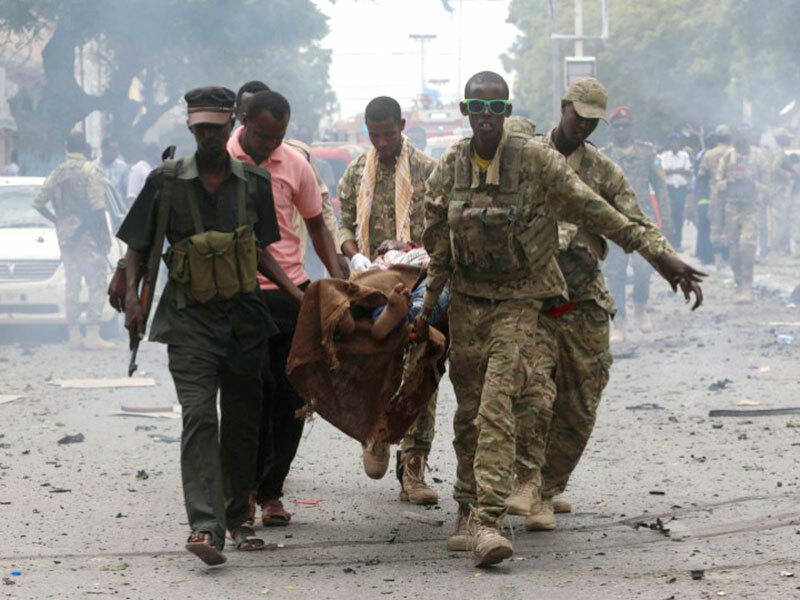 Somali military officers evacuate an injured man from the scene of an explosion in Maka al Mukaram road in Mogadishu Somalia. Net. 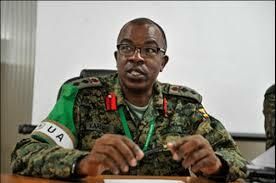 The Uganda People’s Defence Forces (UPDF) will conduct military strikes on Al-Shabaab bases following a deadly ambush that left at least 12 UPDF soldiers dead and scores injured on Sunday UPDF spokesperson Brig Richard Karemire has said. He said the force’s contingent commander in Somalia, Brig Kayanja Muhanga, is already on ground to conduct counter operations. The ambush occurred at Goryowein along Bulu-maler and Beladamin, as UPDF and Somali forces were conducting a joint patrol in the area. He said the bodies of the fallen soldiers have been evacuated to Mogadishu Level II Hospital for further management. The Amisom troops were ambushed as they were conducting a regular patrol to secure the Mogadishu Barawe Main Supply Route (MSR) which still harbours pockets of Alshabaab militants. Most of those killed were from the 7thBattalion of Battle Group Twenty Two, PML Daily has learnt. Battle Group XX11 serves under the mandate of the African Union. The troops were dispatched from Uganda on July 14 following a send-off ceremony at the Singo-based Peace and Support Training Centre, in Nakaseke District. Karemire said the UPDF was contacting the families of the deceased and injured to inform them of the developments as arrangements are underway to transport deceased comrades to their homes of origin for descent burial. Karemire also revealed that the UPDF will ensure the compensation process by the African Union is expedited in respect of the deceased who died in the line of duty. 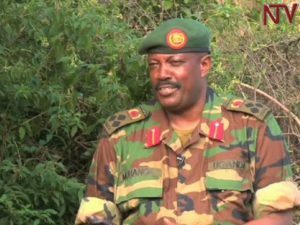 UPDF contigent commander Brig. Muhanga. Courtesy photo.